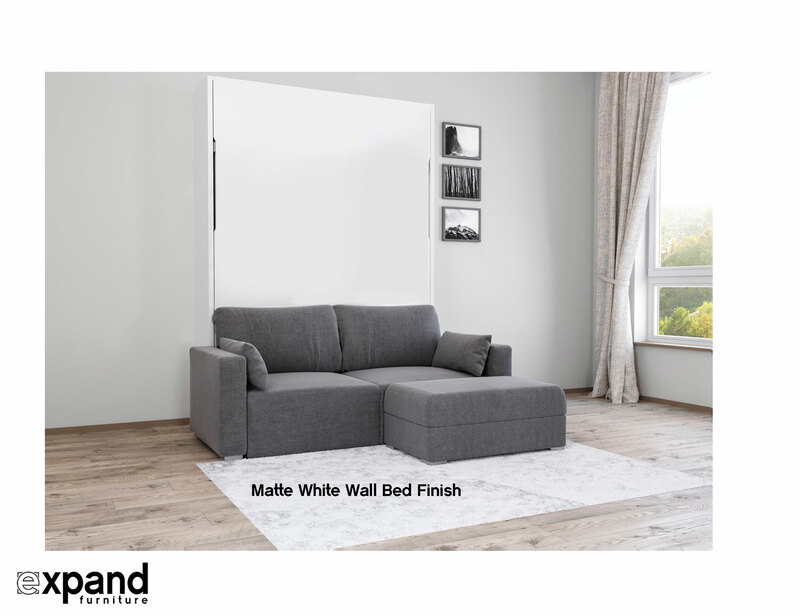 A Mini Sectional Sofa Murphy Bed combination designed to take up minimal space while offering loads of function. 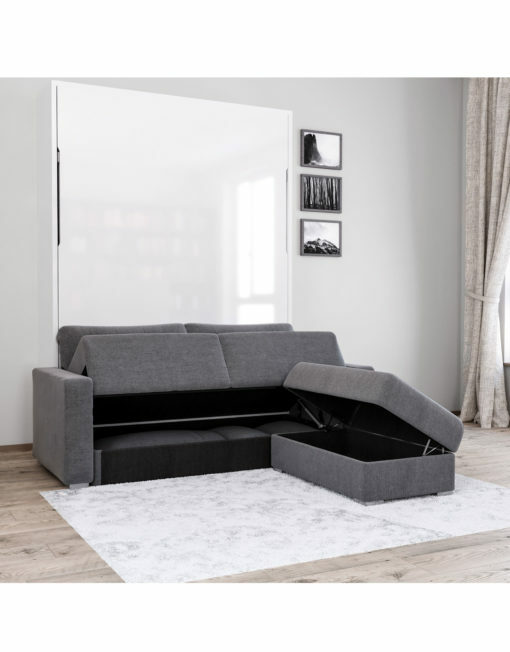 The sectional sofa portion detaches as a storage ottoman and can be used on either side of the sofa or independently. 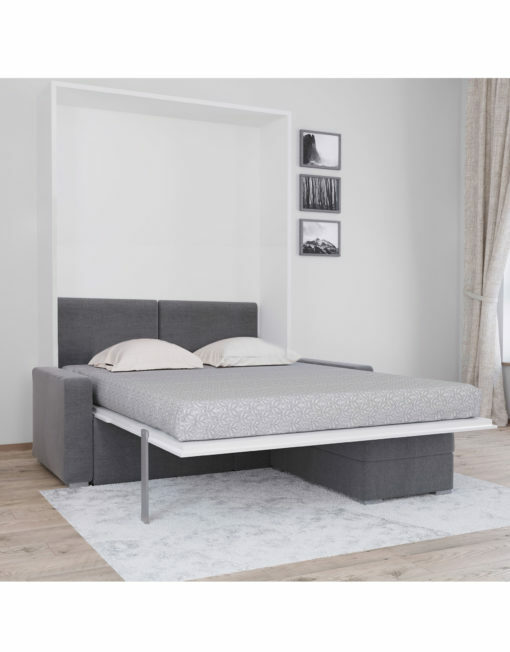 Use the plush modern sofa during the day and when it’s bed time simply lower down the queen size wall bed right over top of the sofa and chaise. A stylized design that closely follows the MurphySofa clean but it includes a functional storage ottoman that doubles as a compact chaise. 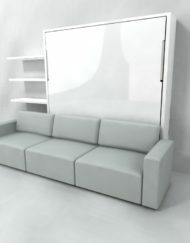 The modern compact sofa also includes a storage compartment. 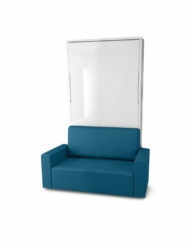 The back pillows are super soft and we packed in extra foam on the seat for sink in comfort. 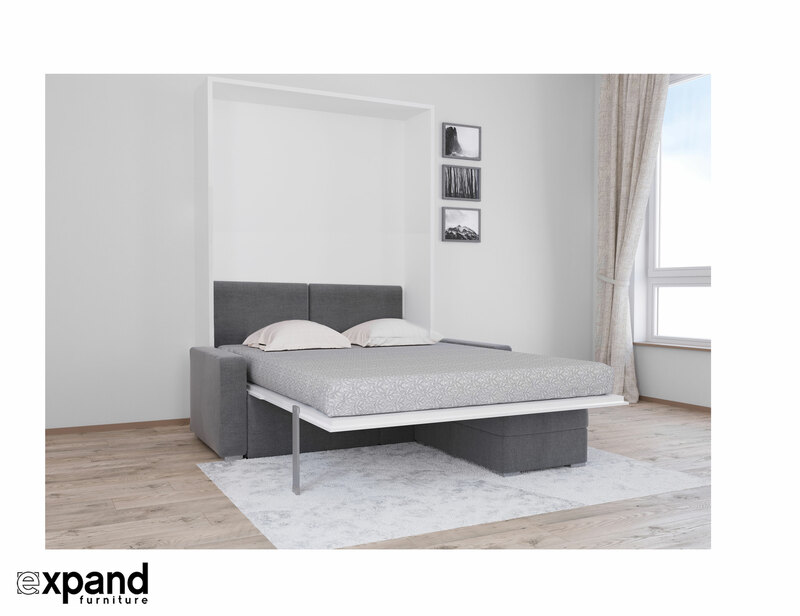 This mini sectional wall bed sofa is available in a variety of finishes for quick shipments. 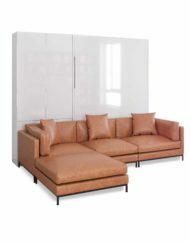 Select your choice of a Glossy White, Flat Matte White or Walnut and pair it with the sofa color of your choice. 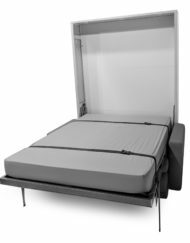 Fits any US queen size 10 inches or under mattress of your choice, we recommend the Magniflex Mattress Range or the Expand 8″ Gel Mattress. 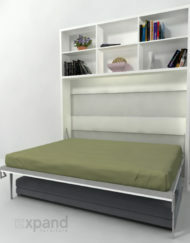 *Quick Ship Wall Bed Sofa: 1-3 weeks in North America. 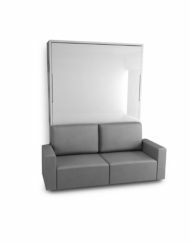 View the new stocked Grey Eco Leather Minima option here. 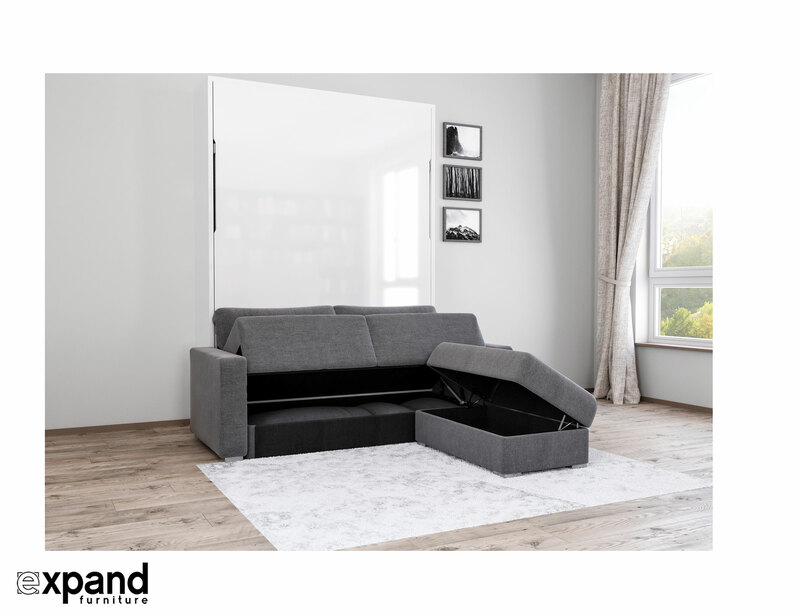 The latest MurphySofa Minima Sectional now has built in Storage in the sofa and Ottoman as well as new stylized square arms. 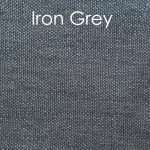 The Sofa is even softer with ultra durable new fabrics. 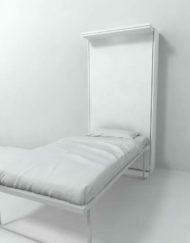 Watch the the new video below. 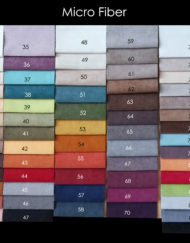 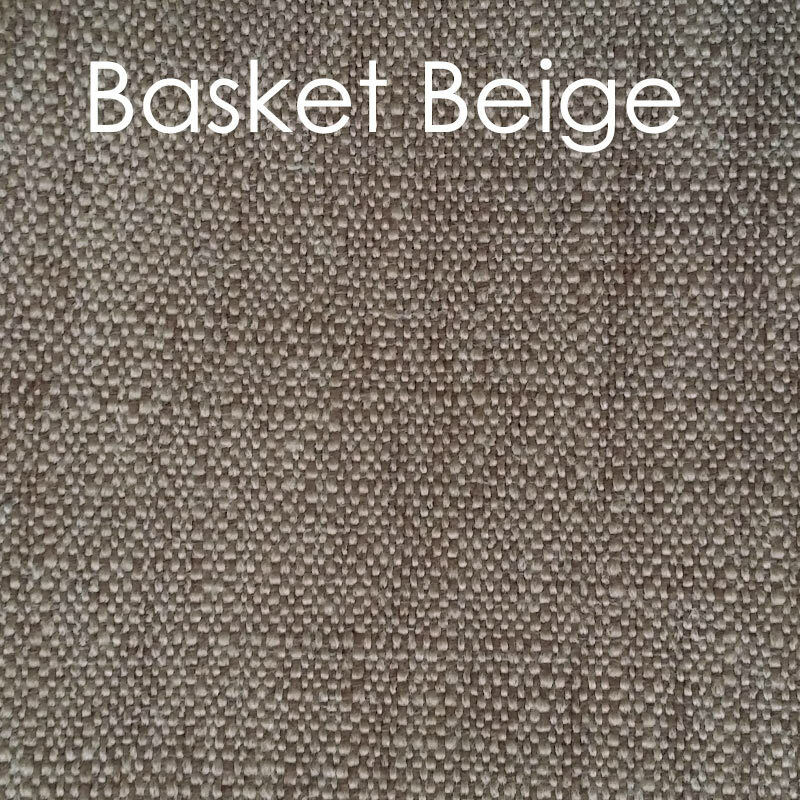 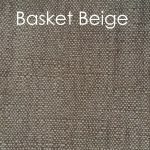 The video shows the sofa in Iron Grey and the Ottoman in Basket beige for color reference. 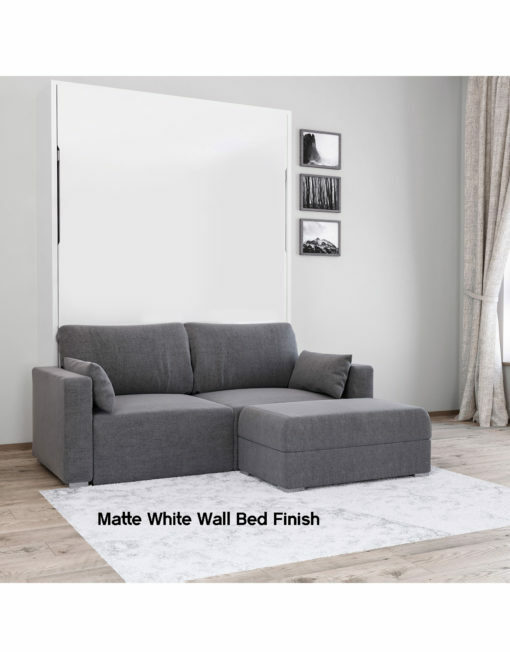 A highly stylized, functional, compact Sectional Sofa Murphy Bed combination that is an affordable sectional model. 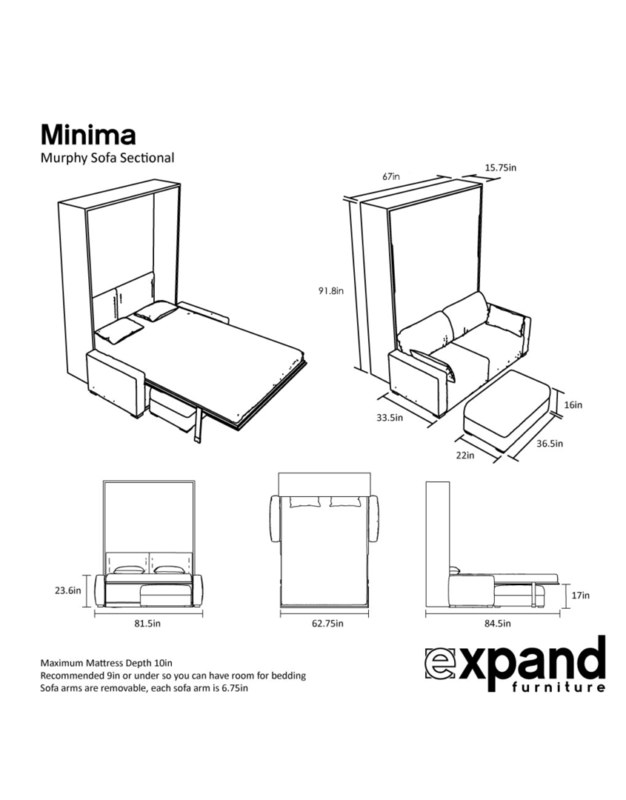 The Minima has the same stunning styling and function as the MurphySofa clean wall bed. 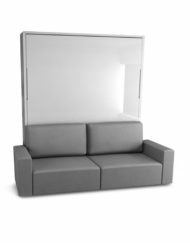 The Sofa base combines supportive springs with medium soft foam for a plush seat that also has a storage compartment built in below. 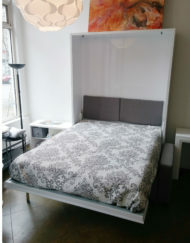 Paired with a comfy back cushion to let you lounge in comfort. 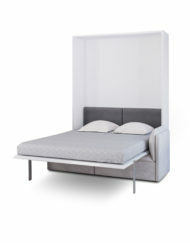 This MurphySofa base wall bed is the same across all of our MuprhySofa options with the same great quad piston system. 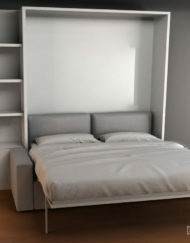 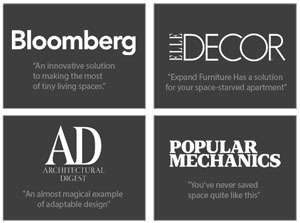 You have the choice of base wall bed panel options (check stock) as well as pre-made sofa finishes. 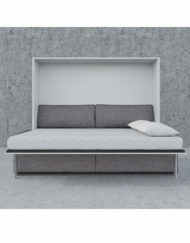 The Minima Base Sofa has a storage compartment built inside. 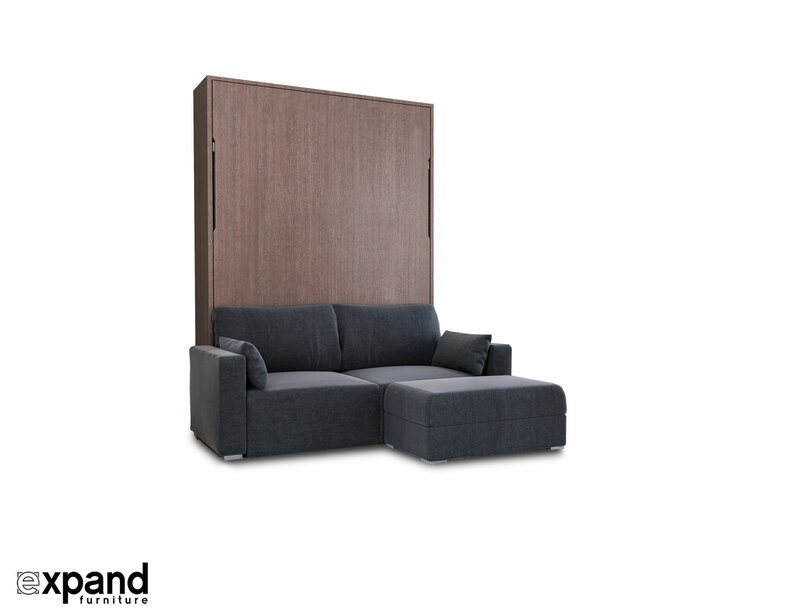 The MurphySofa Minima sectional sofa portion detaches and can function as an Ottoman or table. 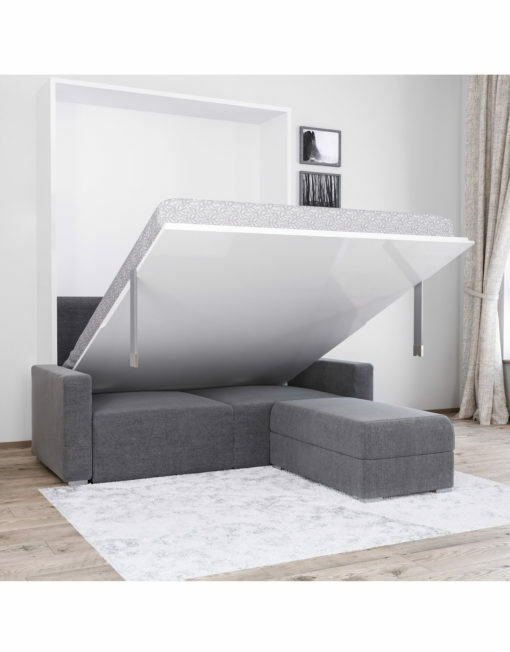 The ottoman has a built in storage area and is free to move. It can shift to either side of the sofa for an extended chaise or use it in front of the sofa as a coffee table or an extra seat. The MurphySofa Minima is compatible with our Transforming Tables and pairs perfectly with the Mini Boost table. 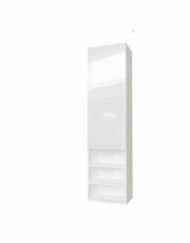 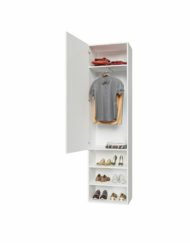 Panel Choice of Glossy White, Matte White, Walnut. 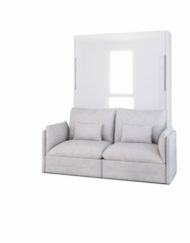 Sofa small side pillows pictured are not included. 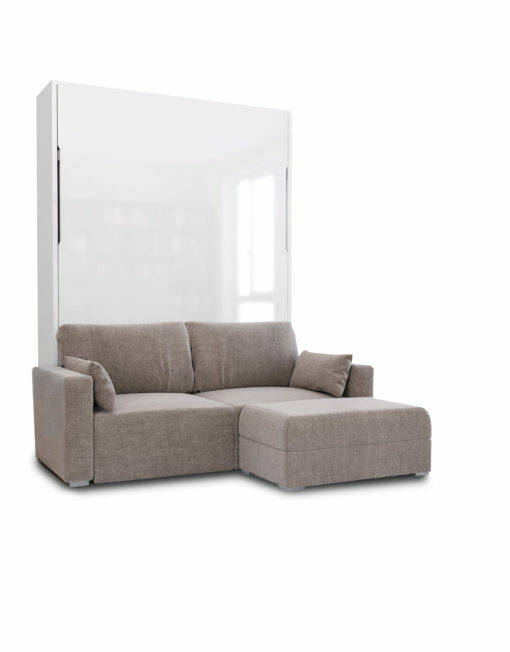 Comparing the MurphySofa Clean vs Minima or other models: Which MurphySofa is right for you? 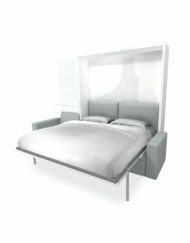 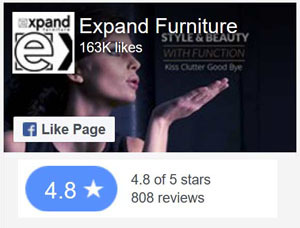 Ultimately these are same wall bed base systems but use different sofa models. 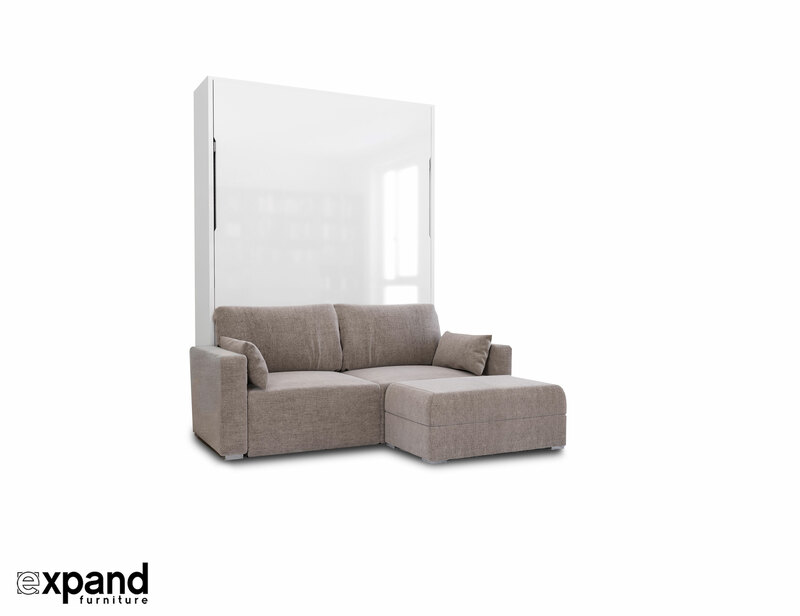 The Clean and the Minima sofas have storage built inside and a similar look. 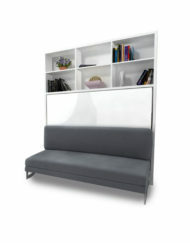 Our modular sofa models do not have storage but they can be moved around and expanded at a later date. 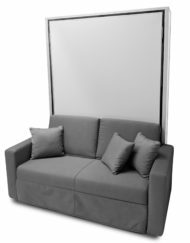 The Minima’s durable fabric is fixed to the sofa so it does not allow for replacement covers but we choose extra durable fabric on this build. 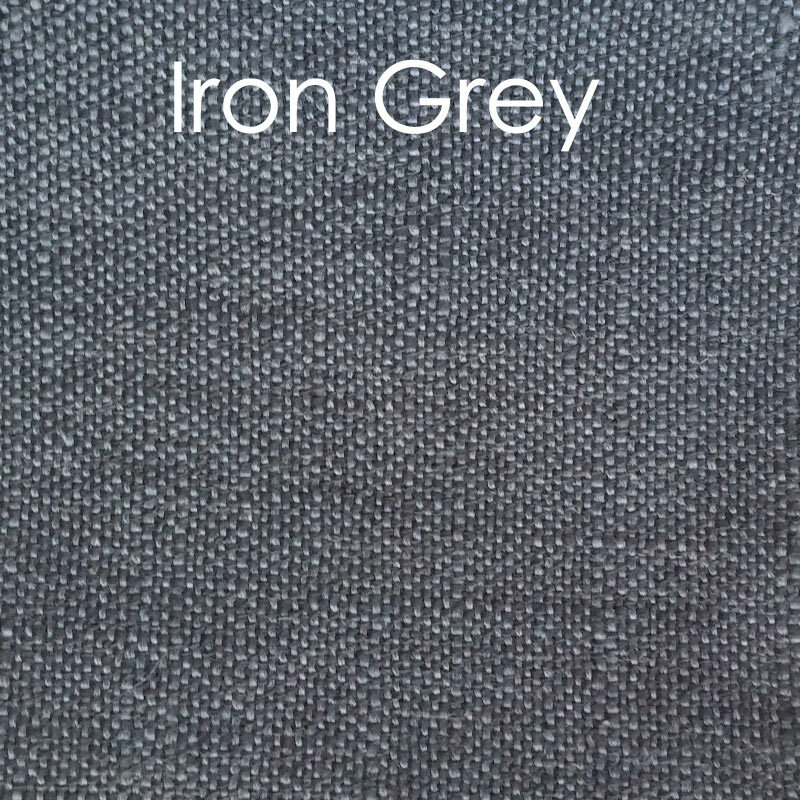 When sewn in the fabric is very tight and looks great. 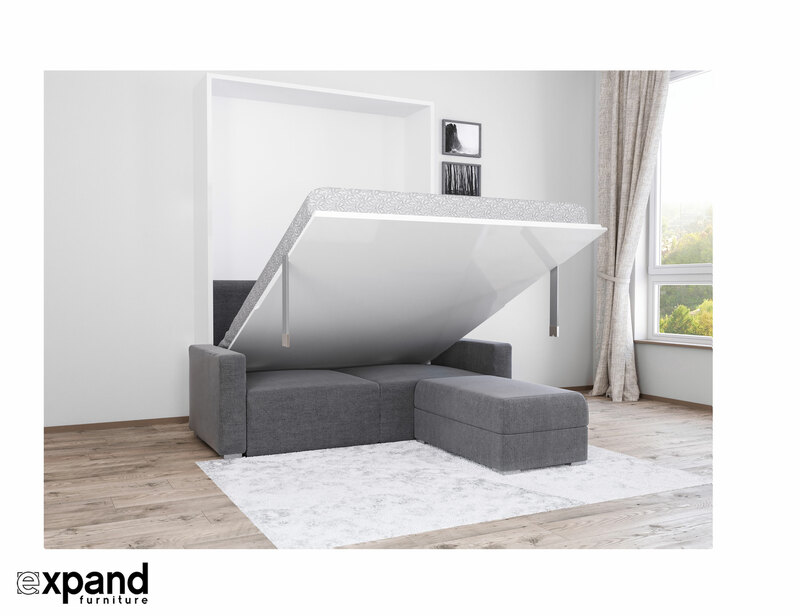 It does includes a storage ottoman which also functions as the foot rest to make this a complete compact sectional ideal for a small room. 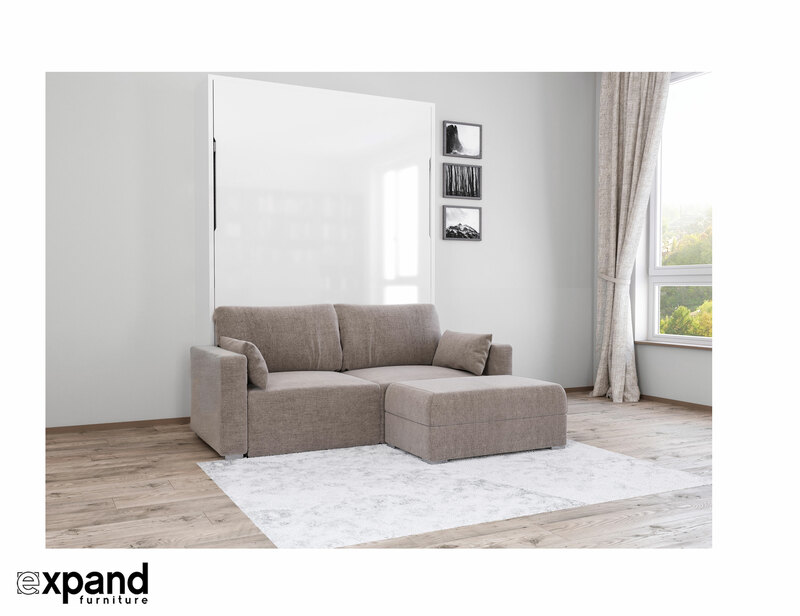 The MurphySofa Clean Couch has removable fabric and the ability to add on a larger sectional module to the left or right of the sofa. 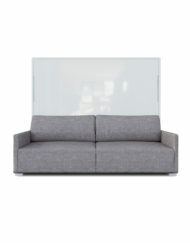 The MurphySofa Clean does not come with an ottoman and will not. Overall they are very similar in look and feel with key differences of the Minima being slightly softer and includes a functional storage Ottoman and the Clean having replaceable fabric. 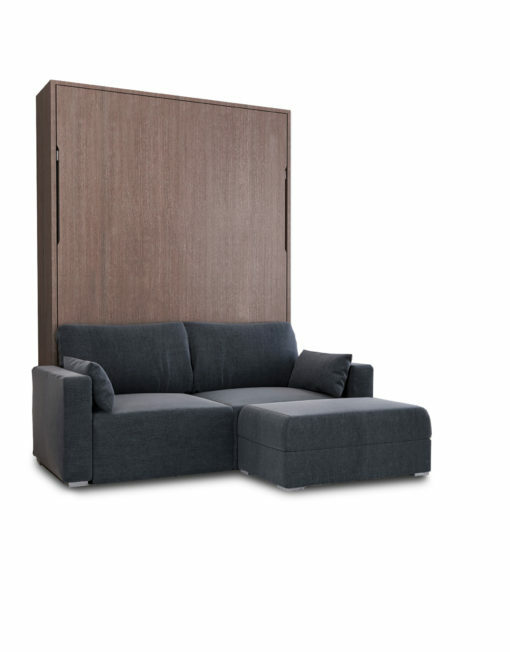 The modern Murphy bed with couch is both stylish and comfortable. 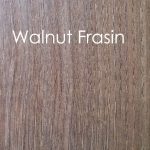 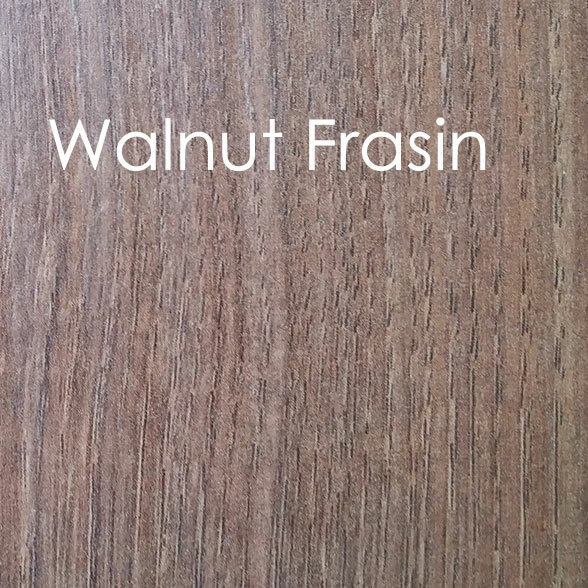 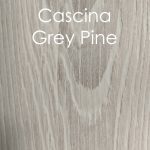 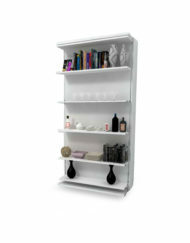 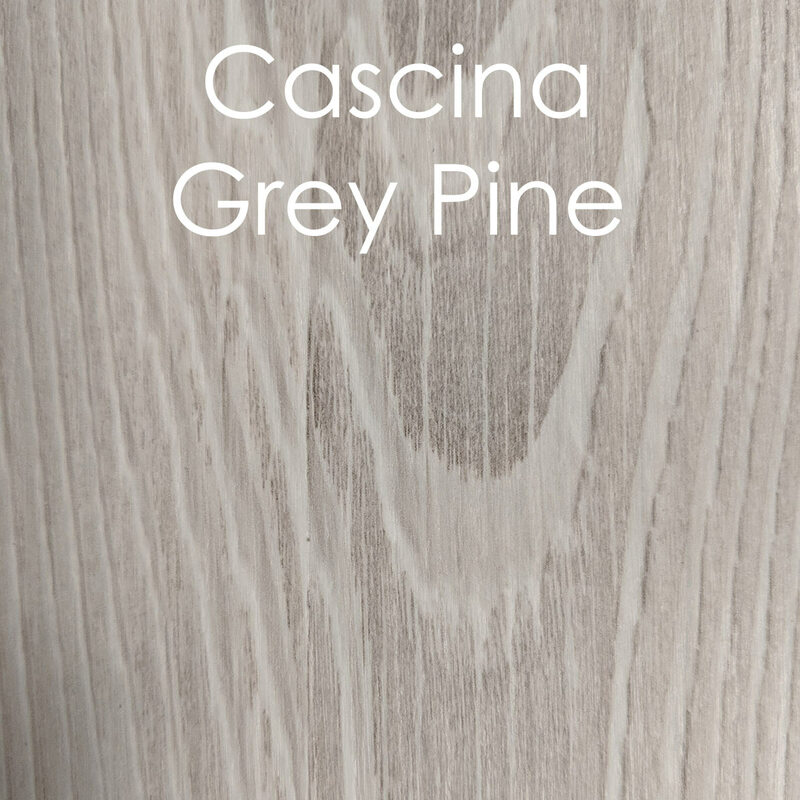 Glossy White, Cascina Grey or ‘Walnut Frasin’ Wood Panel.